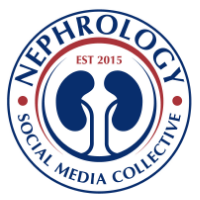 Nephron Power: Delta –Delta or corrected HCO3- where is this other disorder hiding? Delta –Delta or corrected HCO3- where is this other disorder hiding? Often when we have a severe gap acidosis, we are forced to calculate the “delta/delta” and look for either a non gap acidosis or met alkalosis. How does this work? Ph 7.1, AG is 22 and serum Hco3 is 10 with a premise of AG metabolic acidosis. If corrected bicarbonate is >26, a met alk is also present. If 22-26, a pure gap acidosis remains. Problem with this method: Assumptions about all buffering occurring in the ECF and being totally by bicarbonate are not correct. Fifty to sixty percent of the buffering for a metabolic acidosis occurs intracellularly. delta ratio = ( 10/14)= <1 giving us the same diagnosis of combined gap and non gap acidosis. As a general rule, in uncomplicated lactic acidosis, the rise in the AG should always exceed the fall in bicarbonate level. The situation with a pure DKA is a special case as the urinary loss of ketones decreases the anion gap and this returns the delta ratio downwards towards one. A further complication is that these patients are often fluid resuscitated with 'normal saline' solution which results in a increase in plasma chloride and a decrease in anion gap and development of a 'hyperchloraemic normal anion gap acidosis' superimposed on the ketoacidosis. The result is a further drop in the delta ratio.